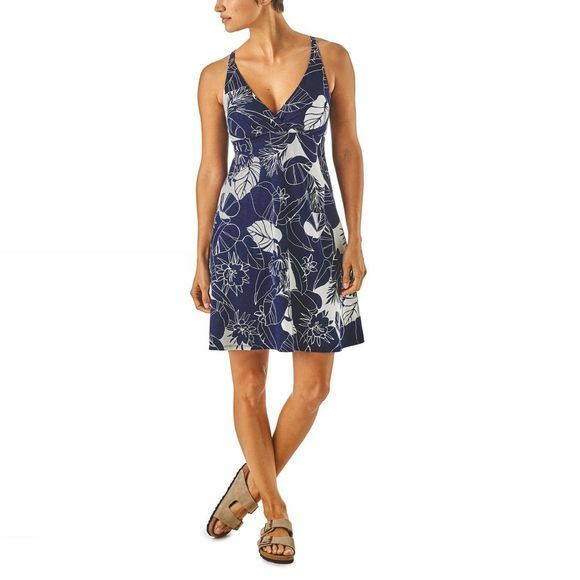 The Women's Amber Dawn Dress from Patagonia is a versatile, lightweight dress made from a mix of organic cotton and spandex, incorporating Fair Trade certified sewing. Although a slim fit, the subtly textured materials allows stretch for a flattering silhouette without compromising freedom of movement. 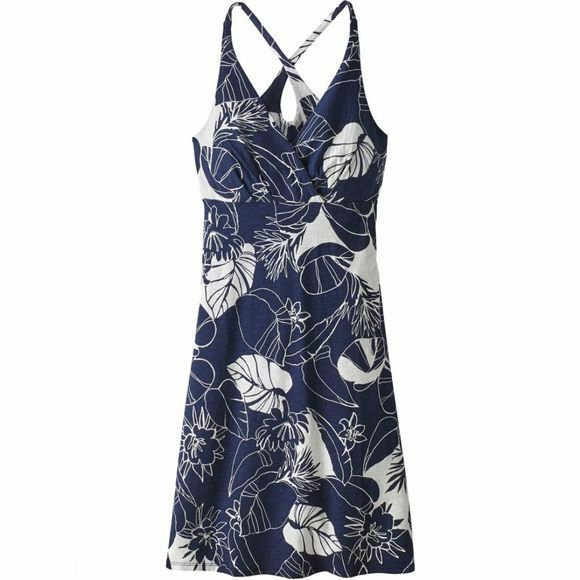 The A-line hem falls just above the knee, and a wrap-inspired empire bodice seam, V-neck front and strappy cross-back style with keyhole feature adds feminine flair to this easy-wear dress.